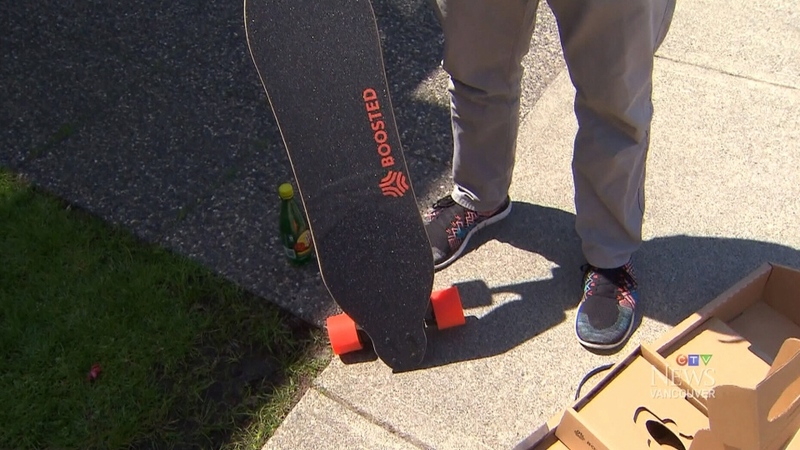 A Vancouver electric skateboard enthusiast is speaking out after being fined $600 simply for riding his board on a city street. Electric skateboards, or e-boards, look much like conventional skateboards but are propelled by an electric motor usually located on the underside of the vehicle. The rider controls the speed of the board, which can reach up to 35 km/h, using a handheld controller. While they are growing in popularity around the world, B.C.’s Motor Vehicle Act technically views the boards as cars. That means it’s illegal to ride e-boards on public property without insurance. But no insurers will cover e-boards. The store where Dahlberg purchased the board said it’s the first time it has encountered this problem. “The ticket was a surprise to me,” said Graham Peat of Boarder Labs & CalStreets. The store said it has sold hundreds of others and said that it does have a warning on its website that the products are only authorized on private property. But the retailer is also urging the province to change regulations to allow the boards on bike lanes, sidewalks and city streets, a step the state of California took two years ago. In the meantime, some e-board riders are defying provincial law in spite of the stiff fine. As for Dahlberg, he’s fighting the ticket and returning his board. 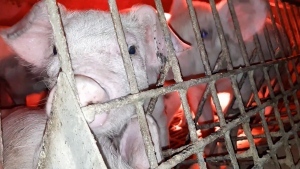 “Right now, I don’t feel comfortable with something that can land me a $600 fine,” he said.